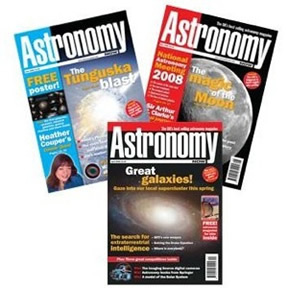 For over two decades, Astronomy Now magazine has provided a monthly source of information for amateur and professional astronomers alike. 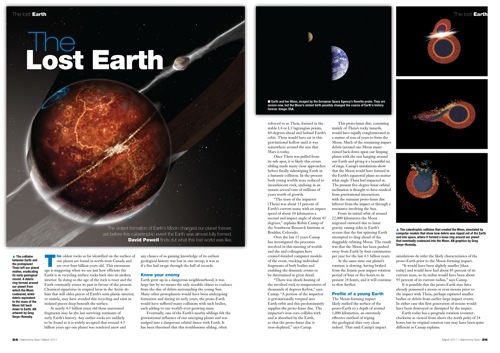 It is the U.K.'s best-selling astronomy magazine. 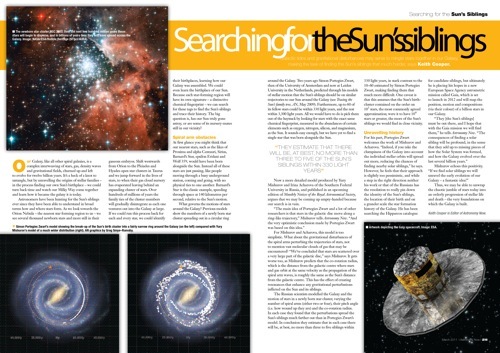 A wide range of feature articles cover subjects such as observing, cosmology, the history of astronomy and space science. A series of articles each month takes an in-depth look at specific areas of astronomy and space science. 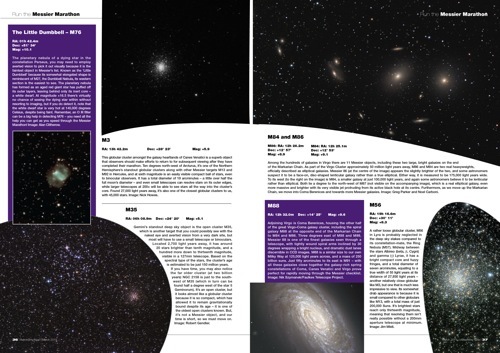 Each month, Astronomy Now includes a detailed section on the night sky, an extensive news section, readers' astronomical images, book reviews and advice for beginners and seasoned astronomers alike. If you are interested in writing for Astronomy Now please download our Writers' Guide for more information. March 2011 BUY ONLINE NOW! s NASA's MESSENGER spacecraft arrives in orbit around Mercury this month, we take a look at the journey it has made so far, and some of the targets it has lined up in its sights. As well as interesting surface features, MESSENGER will also probe the planet's tenuous exosphere made of hydrogen, helium and stony and metal particles from the surface, to learn how it interacts with the solar wind. The mission will also complete mapping of the last unknown territories, such as the planet's polar regions. 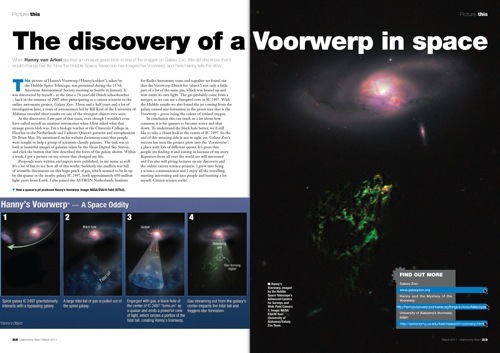 From a smudge on a Galaxy Zoo image to a full-blown Hubble Space Telescope image, here is the story of Hanny's Voorwerp by its discoverer, Hanny van Arkel. What was the planet Earth like before its calamitous collision with a protoplanet that resulted in the formation of the Moon and changed our world forever? David Powell ventures into the distant past to find out. Finding the stars that were born in the same nebula as the Sun won't just tell us about our Sun?s birth, but lead to an unravelling of the history of star formation in our Galaxy. The trouble is finding those siblings may be harder than we thought, reports Keith Cooper. With the spring star party season and accompanying Messier marathons upon us, we pick out a few of the highlights of Messier's catalogue to find out what these faint fuzzies really are. In that weird zone between the hours of night and day, there is still much astronomy to be done says Martin Mobberley. Our latest 116-page Astronomy Now special edition is an extravaganza of astronomy for the year ahead. Featuring an extensive guide for observing in 2011, an introduction to major new missions to the Moon, Mars and Jupiter, an epitaph for the space shuttle, an essential star party survival guide and more. Hubble Reborn takes the reader on a journey through the Universe with spectacular full-colour pictures of galaxies, nebulae, planets and stars as seen through Hubble's eyes, along the way telling the dramatic story of the space telescope, including interviews with key scientists and astronauts. Witness the most awesome sights of the Universe as they were meant to be seen in this 100-page extravaganza of planets, galaxies and star-scapes, all in 3D! 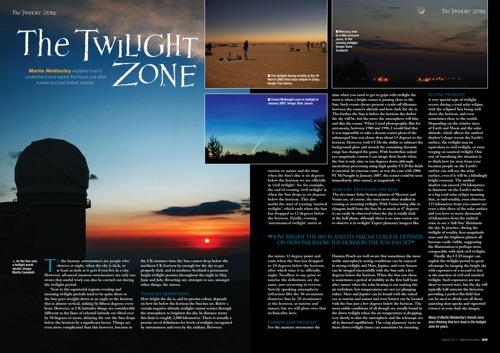 This special publication features the photography of British astro-imager Nik Szymanek and covers a range of photographic methods from basic to advanced. Beautiful pictures of the night sky can be obtained with a simple camera and tripod before tackling more difficult projects, such as guided astrophotography through the telescope and CCD imaging. Explore the Universe with these new versions of the award-winning Starry Night Software. Available now from the Astronomy Now Store. Astronomy Now is pleased to announce the publication of Exploring Mars. The very best images of Mars taken by orbiting spacecraft and NASA's Spirit and Opportunity rovers fill up the 98 glossy pages of this special edition! This new poster features some of the best pictures from NASA's amazing Mars Exploration Rovers Spirit and Opportunity. © 2010 Pole Star Publications Ltd.